Today I’m going to review a powder cleanser for you guys. I have extremely oily and dehydrated skin and I just hate the stretchy feeling after cleansing my face with stripping cleansers that are meant for the oily skin. I have tried and tested tons of face washes I was not satisfied since they lacked the skin nourishing properties. In my opinion, cleansers are meant to remove dirt and excess sebum from our skin. But most of the conventional cleansers strip hydration from our skin making it dehydrated in a long run. When I was searching desperately for an alternative for stripping cleanser, I came across the wonderful cleanser by skincare villa shop. This brand is owned by the beautiful lady Sonali who is also a blogger at skincare villa. To order Skincare Villa products, just DM them on their Instagram page here. Oats – Owing to its saponin content, oats works as a terrific natural skin cleanser. Whether you have sensitive or dry skin, it doesn’t strip the natural oils. Oatmeal has rich anti-oxidant properties and helps undo the damage done to your skin by pollution, UV rays, and chemicals. Almonds – Almonds are effective in reducing the appearance of acne, blackheads, and whiteheads. The various antioxidants in almonds possess anti-aging properties which help in reducing fine lines and wrinkles. They also contain abundant amounts of alpha-tocopherol which is a major source of Vitamin E. This vitamin is considered a skin food as it nourishes your skin, keeping it smooth and glowing. 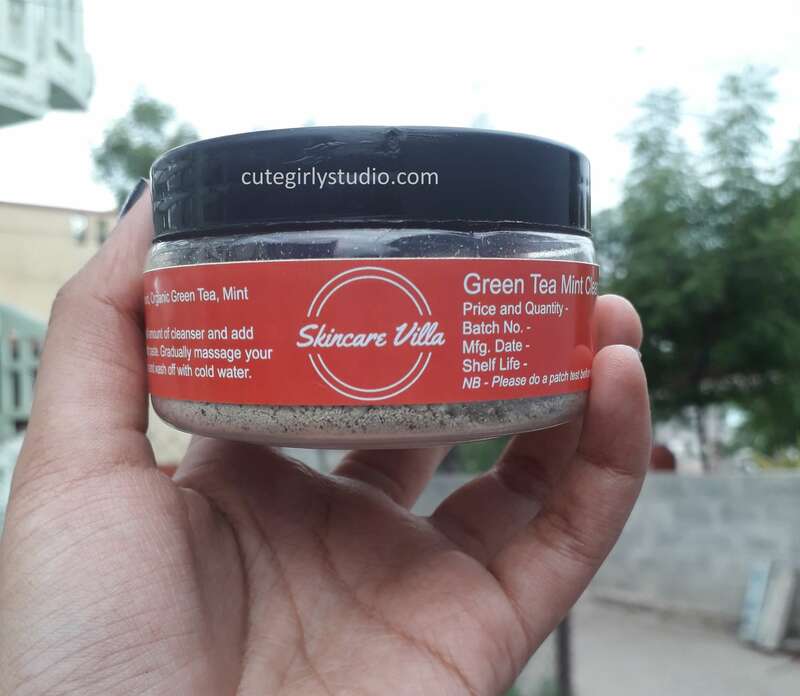 Green tea – The anti-inflammatory properties and antioxidants in green tea can delay skin aging or its signs like expression lines and wrinkles. Green tea also helps to control acne to a great extent. Mint – The nutrients in mint leaves help tone the skin, minimize pores, reduce swelling and restore skin elasticity. Vitamins A and C are powerful antioxidants that fight inflammation appearing in the form of red marks on the skin. B vitamins, riboflavin, and folate brighten the complexion. Take the cleanser in a bowl and add normal water or any hydrosols to it. Let it sit for 5 minutes before you use it to wash your face. This ensures that you get all the benefits of the cleanser. I started using this cleanser right from the day I received it. I normally use warm green tea to make a paste since I have acne prone skin. After making a change in my skincare routine few weeks back my skin was experiencing purging. 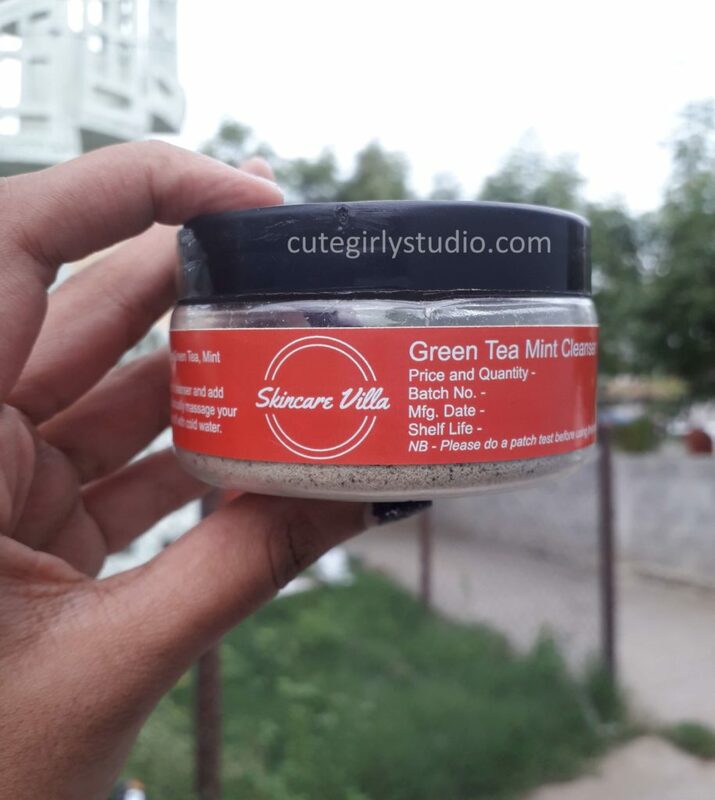 I received this green tea and mint cleanser when my skin started purging. This humble face cleanser helped to soothe my angry red bumps. I normally massage the cleanser for 2 minutes and then leave it for about 5 minutes and then rinse it off with cold water. In this way, this cleanser acts as a 3 in 1 product for me. It acts as a cleanser, daily scrub and as a face mask. I absolutely love this face cleanser. I started liking this from the first use itself. After rinsing, my face looks refreshed and clean. In fact, it felt moisturized that I don’t feel the urge to apply any moisturizer. It works equally good on dry skin also. If you have bumpy or textured skin I highly recommend using this product. I had small bumps on my forehead, I used this as my second cleanser after oil cleansing my skin and guess what… my skin is clear and smooth. Oil cleansing and skincare villa green tea mint cleanser is a bomb combo for the bumpy skin. I get bored easily and that is the reason you don’t find me repurchasing any products. But I am going to repurchase this cleanser from skincare villa. Cleanses the skin without stripping off the moisture. Has the goodness of green tea and mint. Honestly, I don’t find any. I absolutely love the skincare villa green tea and mint cleanser. It helps to soothe my skin and also calms down the breakouts. It also has a nice soothing smell that I love. 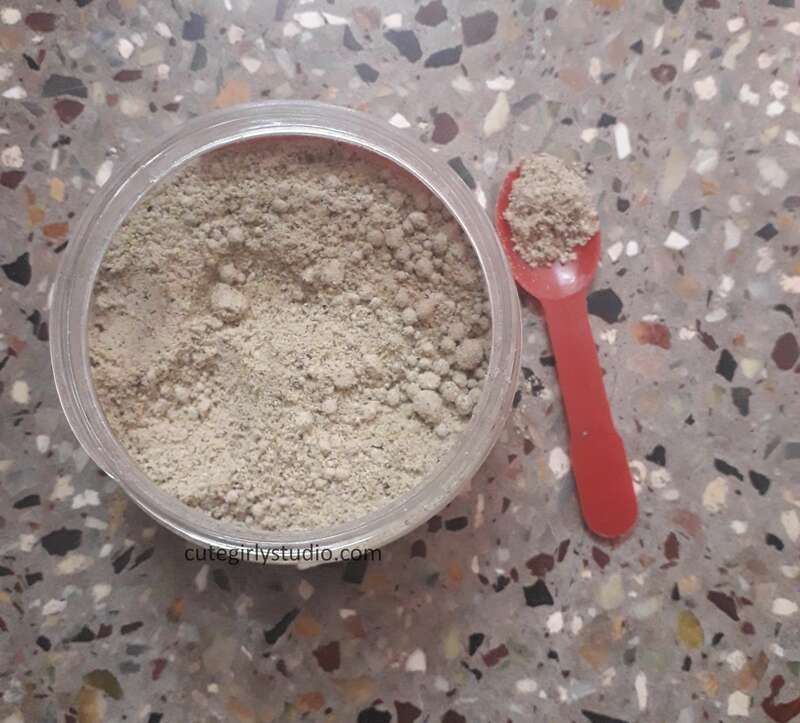 The texture is absolutely fine for everyday usage. It cleanses my skin well without stripping my skin’s moisture. I highly recommend this to you guys if you love trying natural skin care products. Don’t forget to subscribe to my blog. Follow me on Facebook| Instagram| Pinterest| Google+.